January 17, 2018 — The New York office of the Frankfurter Buchmesse, together with Publishing Perspectives, will host the first two-day Children’s Books Salon in New York City on January 23–24, 2018. 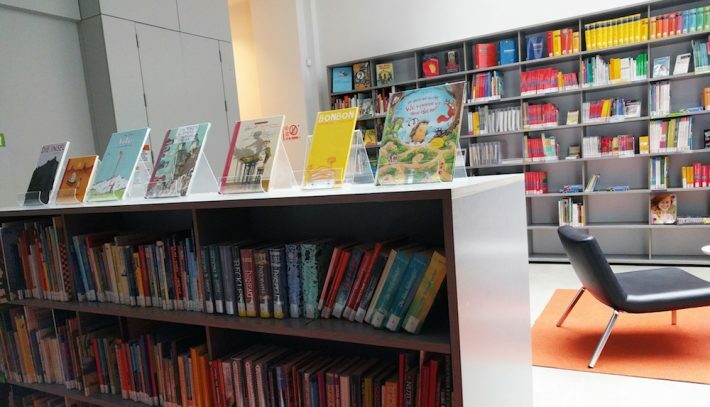 The aim of the salon is to build a platform where international children’s book publishers can meet each other in person, strengthen their international relationships, learn about new titles, and discuss issues specific to the children’s book market. Some 30 publishers, editors, and rights directors from nine countries have been invited to New York City to participate in the inaugural Children’s Books Salon, where they will meet with nearly 40 American editors and publishers. On January 23, the Children’s Books Salon will convene at the Goethe-Institut New York, with David Walter, Business Development Director for Commerce Solutions and Metadata for the NPD Group delivering a keynote address on trends in domestic and global children’s media to start the day. Presentations and networking with editors and rights directors from Simon & Schuster, HarperCollins, and Macmillan will follow. In the afternoon, international participants will take part in a series of one-on-one meetings and discussions with some 20 American editors from publishers including Abrams, Candlewick, Holiday House, Little, Brown and Company, Sourcebooks, Sky Pony, Sourcebooks, and others. On January 24, international publishers will visit the offices of Scholastic and Penguin Random House, where they’ll meet with editors and rights directors and discuss the latest developments in the US children’s book market. Participating publishers include Arena Verlag, arsEdition, Groupe HMH, Groundwood Books, Hanser, Loewe, Rabén & Sjögren, S. Fischer, Schildts & Söderströms, WSOY, and others. A group of German publishers and editors is able to participate thanks to generous funding from the German Foreign Office. The Frankfurt Book Fair New York Inc. is one of four international offices of the Frankfurter Buchmesse. The Frankfurt Book Fair New York Inc. is a business office of the Frankfurter Buchmesse as well as a liaison office for American editors, German rights directors, editors, and translators. With funding from the German Foreign Office, the New York office manages several cultural projects under the label German Book Office, such as the annual Editor’s trip, Festival Neue Literatur, translation workshops, Book of the Month Picks, and promotes selected German titles from such lists as New Books in German, Children’s Books on Tour, and Geisteswissenschaft International. A project of the Frankfurt Book Fair New York Inc., Publishing Perspectives is an online trade magazine that covers the trends, people, and companies shaping the global book industry. Our mission is to help build and contribute to the international publishing community by offering information that publishing and media professionals need to connect, cooperate, and work together. With a network of correspondents and publishing experts who live and work around the world, Publishing Perspectives offers coverage of global markets and companies, along with deeper insight into the business of publishing and writing.